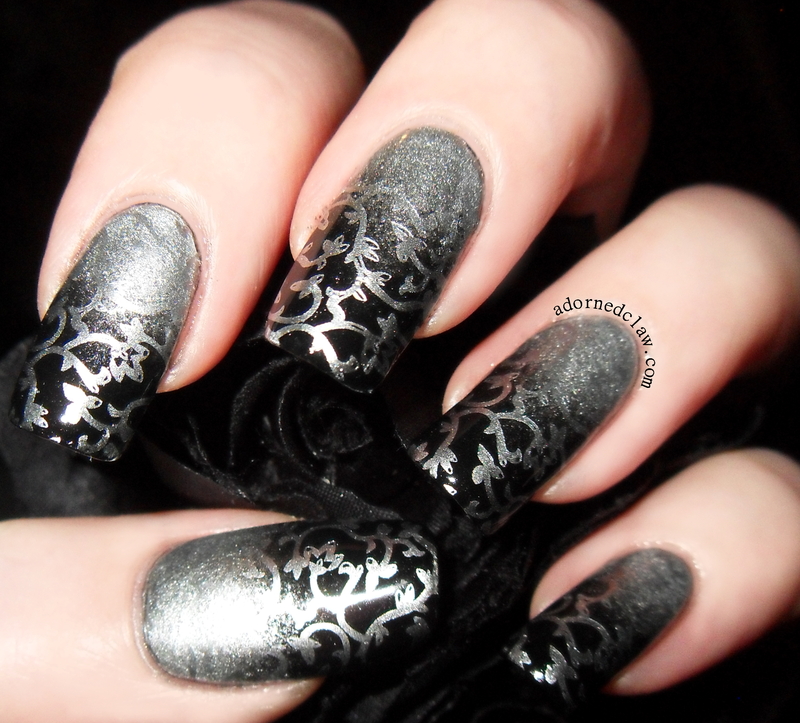 Today I have a Born Pretty stamping plate that has kindly been sent to me for review! 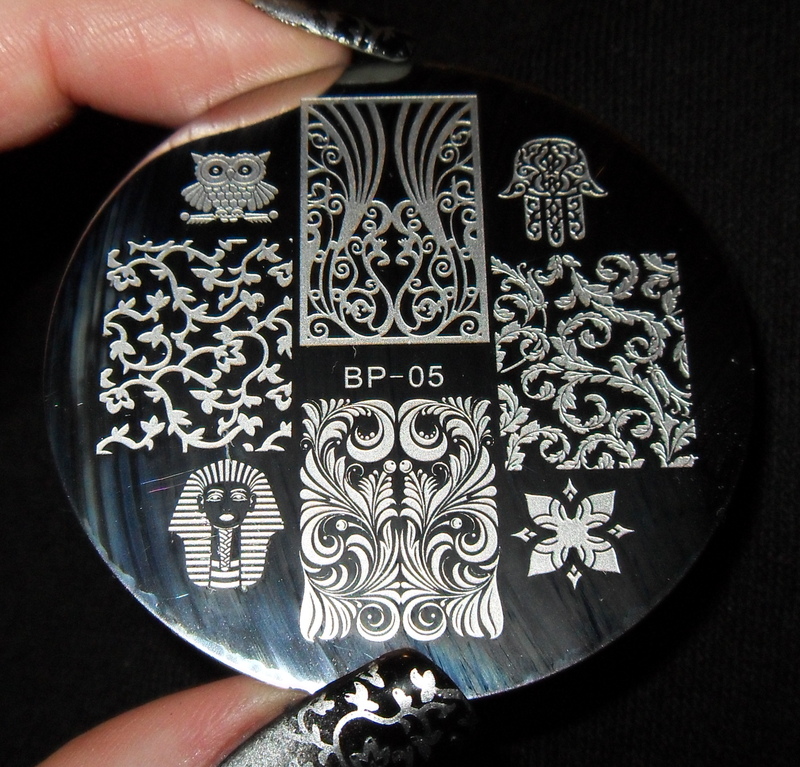 You can find BP-05 plate here! Plate BP-05 has a really eclectic bunch of images! That Owl is really cute, and I really like the vine and leaf patterns. My first impression of the images is that the etching looks really sharp and quite deep! unlike some other plates in the same price range. 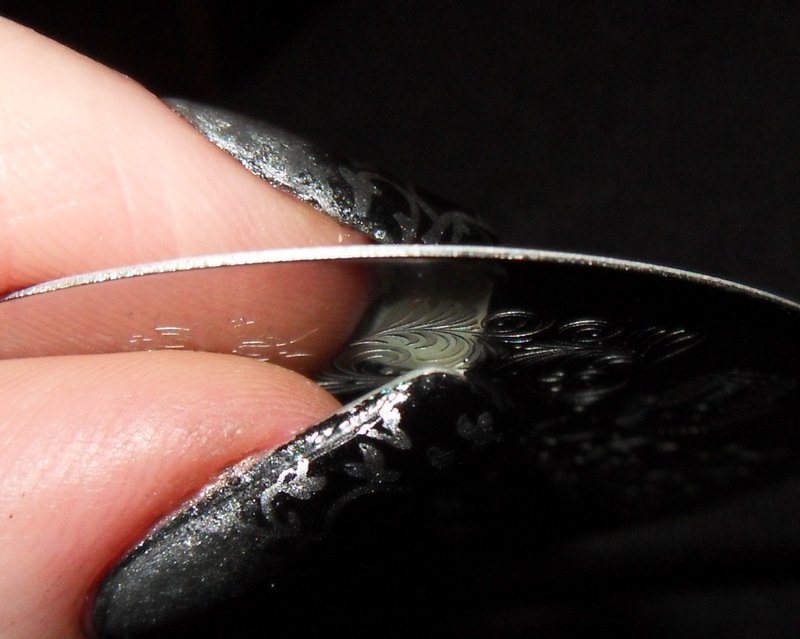 The smaller full nail images are (with the help of my ruler) 19mm by 15mm and the larger image (at the top) is 23mm by 15mm. The plate is 55mm across, so the plate is the same size as BM plates. The Back of the plate has a durable paper backing. I decided to try out the swirly vine pattern from this plate, partly because I think it’s a really pretty image and partly because it’s a bold design that wouldn’t loose too much detail over the gradient. I used China Glaze I’d Melt For You and Laval Black for the gradient, this mani looks really thick, because for some reason my sponge decided to disintegrate a bit on the last coat and left annoying sponge turds all over the place Gah! 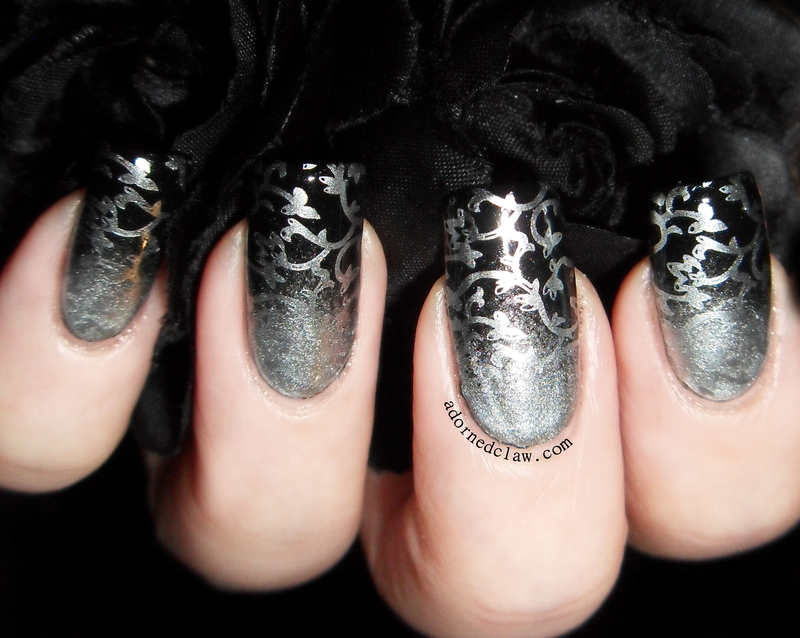 So after a bit of tweezering some swearing and around 3 coats of Seche Vite later my nails where ready for stamping. 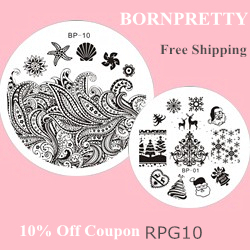 And don’t forget the code RPG10 will get you 10% off in the born pretty shop! 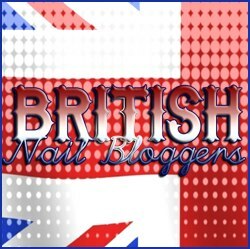 This entry was posted on Friday, January 16th, 2015 at 5:06 PM	and tagged with Black, Born Pretty Review, BP-05, China Glaze I'd Melt For You, gradient, Laval Black, Manicure, Nail Art, Nail polish, Nail Stamping, Nail Varnish, Seche Vite, silver and posted in Nail Stamping, Review. You can follow any responses to this entry through the RSS 2.0 feed. That owl is very cute! Gorgeous look as always. I love the look of disappearing stamping gradients but whenever I do it it doesn’t fade properly..do you have any tips?